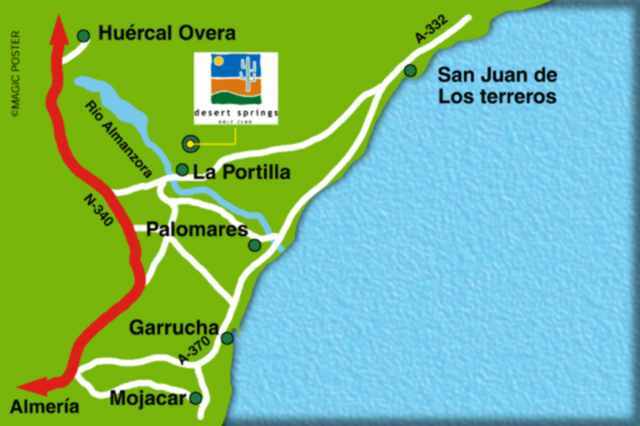 The Almeria province is the most eastern part of Andalucia in Spain. It is well known for its desert like climate and cultivation of palm trees and a land of extreme contrasts where the desert lies side by side with some of the most fertile and productive farmlands in Europe. 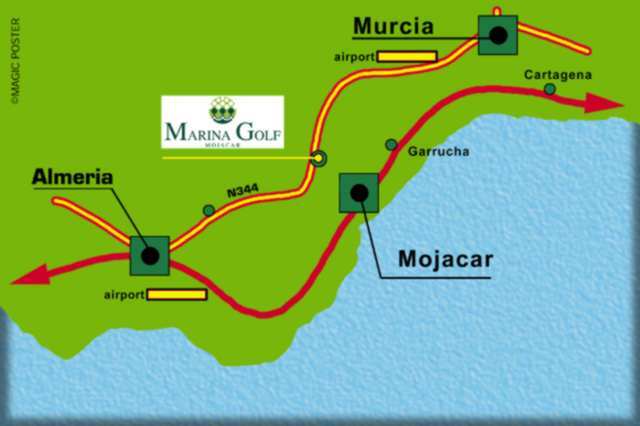 It offers over 200 km of coastline and, of course, some very nice golf courses, which attracts both professional golfers and amateur golfers from all over the world, indeed it boosts some of the best courses in Spain. 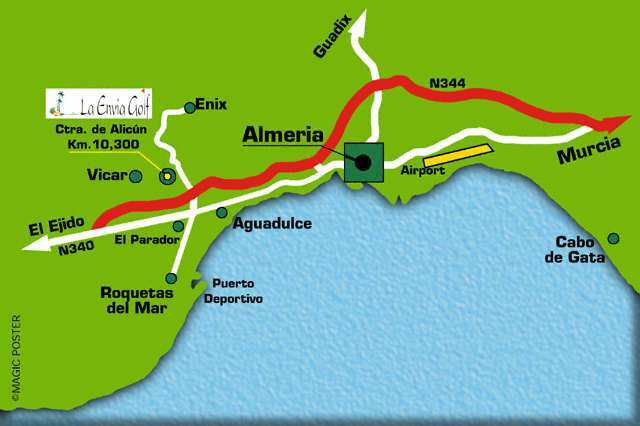 The courses themselves reflect the variety of the province's scenery, enabling their visitors to make the most of a trip to the beach in Vera or Mojacar to leave the greens enjoy the wildlife and countryside of Sierra de Vicar or Valle del Almanzora, change from the romantic setting of a fishing village to the bustle of a large town or city. Each course has its own unique character due to is surrounding scenery or its design. Desert Springs Golf Club in Cuevas del Almanzora, is the first desert golf course in Europe, built in the style of Arizona's courses with an arid vegetation which you can also see at Alboran Golf, Toyo and at La Envia Golf, Vicar, courses which gives magnificent views of the Mediterranean. 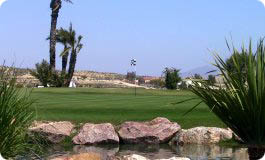 Also close to the Mediterranean are the Cortijo Grande Golf Club in Turre and the Marina Golf in Mojacar. At Almerimar Golf, Almerimar, can you enjoy carefully tended vegetation, lakes and Sierra Nevadas snow, while in Turre, the area's native flora sets the scene for the Valle del Este Gold Resort. In Golf Club Playa Serena in Roquetas de Mar, nine lakes, seven of which are natural, test the accuracy of even the most proficient golfer. So it is only to choose the course and play. 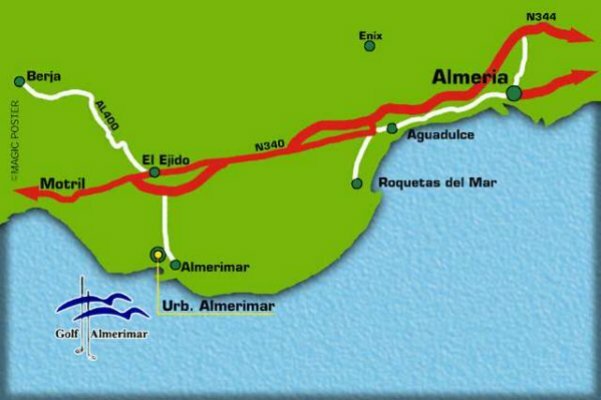 Below you will find an overview of all golf courses in Almeria. Click on the courses and maps to access more details. 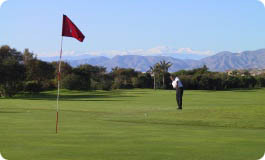 Alboran Golf Course is situated near Almeria the capital as part of the El Toyo resort and and only at five minutes from Almeria international airport. A fantasic 18 hole championship course only a few yards from the beach, next to the natural background of Cabo de Gata in an unique semi-desert enviroment. The course was design and developed by the prestigious golf architects, Ramon Espinosa.Alboran Golf has a round of 18 championship holes, pair 72 of 6278 metres long, a spacious driving range and different training places, which serves as a golf school. The designer has managed to get an important balance between the different holes, in its length as well as in its orientation and situation of several elements that compound the golf course in order to enjoy the game. 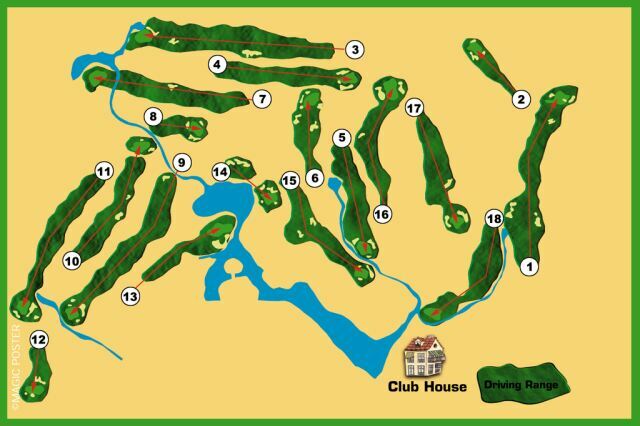 It is a defiant course, which is able to test your ability when playing every hole. 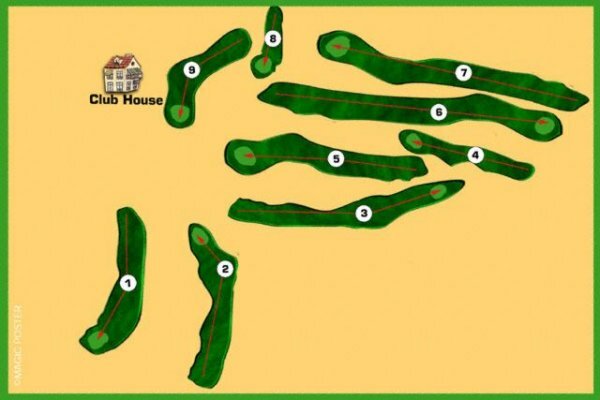 The 66 bunkers are strategically located along every hole so that you cannot relax. 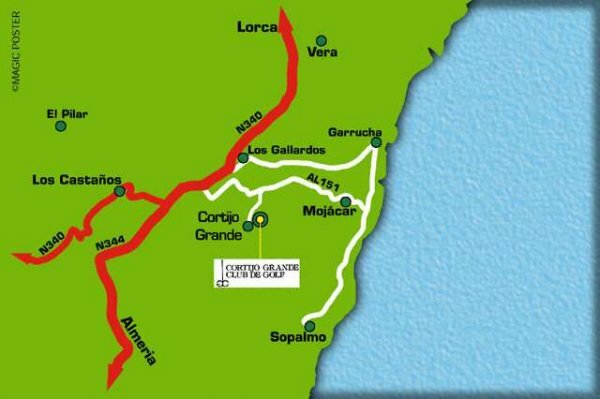 The course hosted the 2005 Mediterranean Games were the Spanish team win the day and collect all the medals. Designed in 1976 by D. Gary Player, Almerimar is a mature flat 27 holes championship golf course, which is surrounded by beautiful landscapes thanks to Sierra Nevada and the gardens and trees and sea views scenery from the Mediterranean Ocean. Its included are six holes featuring water, the most challenging being an attractive island green on the 12th hole, giving a tee-shot over 100 metres of water. The Course has wide and shaded fairways and surrounded by the exuberant Complex vegetation adding difficulty to approaching the wide greens. 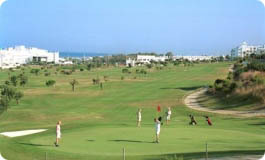 The Club has a splendid bar and restaurant service, swimming pool, tennis courts and buggies, clubs and carts to hire. 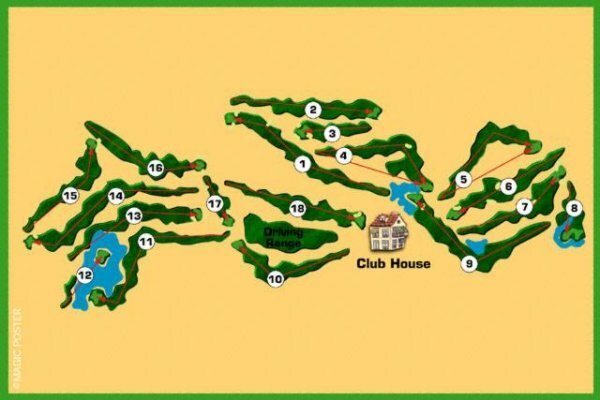 This 9 hole course opened in 1976 and was designed by Poul Jay Polonsky. Its situated between the towns of Turre and Mojacar and 4 km from the beach, offers a mainly flat design, freshly coloured by orange and lemon trees along its fairways. Its mountains and trees create spots of sigular beauty. 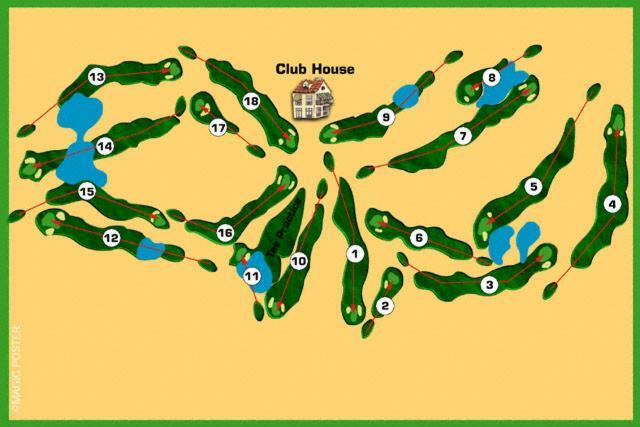 This course does not have a club house but a neary by bar-restaurant provides all services. 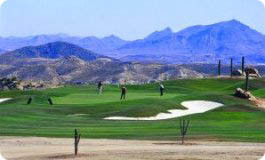 The Indiana is the first and only desert Golf Course in Europe and has been built to the full USGA specifications and quality standards of the now famous desert courses of Arizona and California. The fairways have been kept generous to ensure that the less expert player can enjoy and improve his game whilst absorbing the owesome landscape and vies that encompass The Indiana. 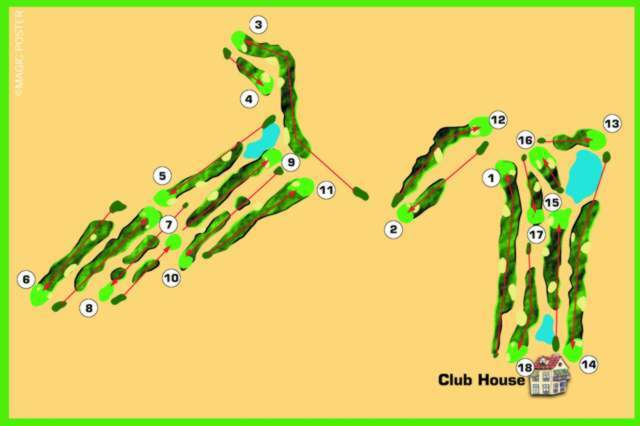 On the other hand, every hole has features which can be brought into play, the springs, watercourses, dry river beds, rock and catus areas and bunkers are strategically located to examine the skills of golf's leading players when playing off the championship tees. La Envia Golf Course lies at an altitude of 200 mts above sea level is a natural estate of the same name. With a length of 5.792 metres of play and hilly design, it was adapted as much as possible to the natural elements of its surroundings. To be able to address the green properly, certain precision is required to stay within the fairways. Additional technical knowledge is rewarded fore strokes with large level differences. The rough is quite punishing by the growth of garden and trees surrounding the course. Marina Golf is a golf course with its own personality. You can play 9 holes next to the beach and in a flat but moved land. 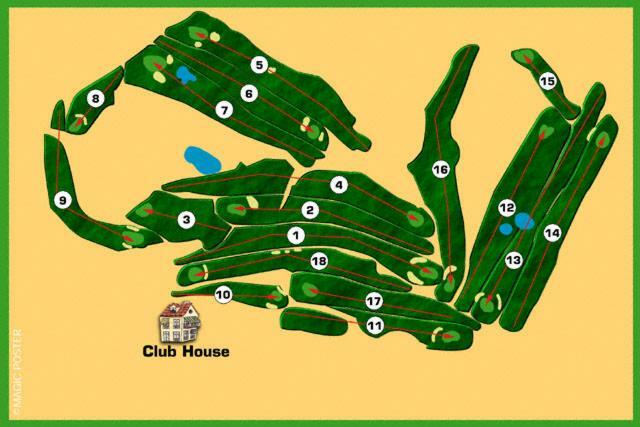 The remaining 9 holes are situated to the other side of a samll hill, with different sights and, even a different climate. With sptectacular tees from some holes, where the player will enjot the wonderful difficulty of this sport. As Marina Golf Mojacar´s slogan points out, it´s all here: The town of Mojacar, the seafront, more than 17 km of beaches and inlets, most of then still empty and unspoilt, a yacht harbour, natural parks, a diverse and succulent gastronomy, lovely countryside. 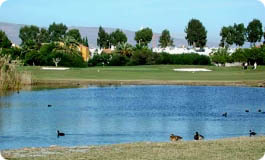 You will find Playa Serena Golf Club situated right on the coast, with its nine lakes seven of which are natural. Home to a wide variety of exotic, migratory birds. 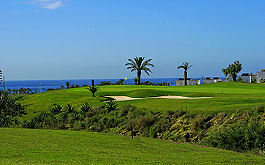 The eighteen holes of Playa Serena are very varied and enjoyable, requiring shots of skill and precision. You can play for sheer enjoyment, no day is ever the same. The 18 Holes (Par 71) have been designed following the lastet tendencies, achieving a perfect harmony between the lanscape and the necesary environmental needs, to make an unbeatable natural resort out of this golf course. 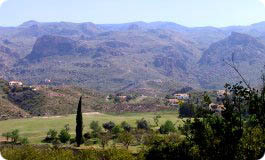 From the player's point of view, Valle del Este Golf Resort will be a real challenge. You will really enjoy.